When I decided to up and leave to fly to Asia and move temporarily to the other side of the world, I was filled with all these preconceived ideas of what that would be like. I imagined Asia as 8 weeks of paradise and Australia as a little bit of work (it has to be done to fund the lifestyle of such an expensive country) but a lot of travel, sunshine and a life pretty much like the cast of Home & Away. While Asia was almost 8 weeks of paradise, the reality of living in Australia on a working holiday visa is very different – not necessarily in a negative way but you would be shocked if I told you how many comments/messages I receive on Facebook and Twitter telling me how ‘jealous’ people are or how lucky I am – which brings me to another point entirely. My Australia experience has been amazing; I can’t knock it for a minute. 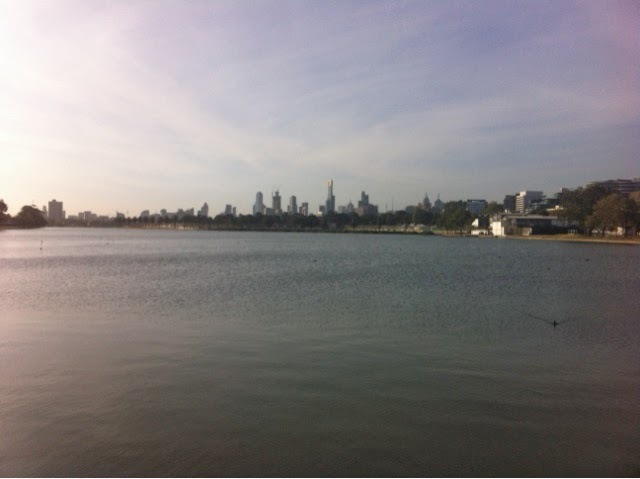 Not only have I been lucky enough to live in both Melbourne (twice!) and Sydney, I’ve also roadtripped up the East Coast in a campervan and had a little taste of beach life in Perth. Not only that, I’ve met people here that will be friends for life and I’ve met another person, who has managed to melt that stone heart of mine and make me see things in a very different light. It didn’t always feel like this though (the living/working here, not my defrosted heart). I have spoken here before about my reasons for coming travelling; I was lost, I’d had a bad break up and my life had done a bit of a 360 in the space of 2 weeks. I was depressed, unhappy and completely lacking my oomph; I spoke to the girls, booked a one way flight and the rest is history. I had my brilliant 8 weeks in Asia with the girls and left Bali on a flight to Perth on November 1st. Myself and two of the others had a lovely couple of weeks there in the sunshine, drinking iced coffee and lazing around before flying to Melbourne; that’s when reality hit. I’d had 10 weeks of complete adventure, fun and freedom; I’d forgotten about why I had left, forgotten how I had felt when I had left and then it all hit me like a ton of bricks. Melbourne was cold, rainy and meant job hunting, watching my spending and, to an extent, a shot at normal life again – I was definitely not prepared for this mentally or physically (it was bloody cold and I had shorts, tie dye and crop tops). Panic hit and I felt homesick, scared and completely out of my depth. However, within a week I had found a job as a Barista (something I did throughout Uni) in a little café in the city, I was getting my bearings and meeting new people again. The problem is, I was living a life I could be living at home but without my family, all of my friends and familiar surroundings. Yes, I know, things change, it’s an adventure blah blah blah – it was all said but you know just as well as I do – change is difficult AND you can be told everything under the sun by others but when you are in a situation nothing sinks in unless you start to believe it yourself. Anyway, I felt back to square one – I wasn’t and that’s what I came to realise. I found my way out of that negative headspace, worked a little and booked a flight to Sydney ready for New Years Eve. I had the greatest time in Sydney before heading up the East Coast to experience possibly the best three weeks of my life - I cannot put the experience into words. I loved every minute of the driving, even when we were hungover or tired, I loved being able to get up and move somewhere new, I loved every beautiful beach and every breathtaking view. These are the experiences that make travelling worthwhile – especially travelling on a working holiday visa – the moments of panic will creep up on you every now and then (or maybe they won’t!) but when they do, you get up, soldier on and work your arse off to get you that East Coast trip, or that skydive, or whatever it is that you want. I left Cairns back in February to return to Melbourne to work (back in the little café!) for 6 weeks until my Parents arrive. Those 6 weeks I wrote off as a boring period of time to save up, get some rest and reassess what I want; well, that didn’t really happen – I’m saving up, yes but I’ve had the most fantastic 6 weeks I could have expected. Friends I met back in Sydney have been around and I haven’t really had a moments rest – I wouldn’t change this for the world. As I said, I’ve made friends for life in these last couple of months and I’m proud of myself in a way; these 6 weeks could have been an excuse or opportunity for my head to go bad to the place it was back in November – bad vibes, negative energy – but it didn’t. My parents will soon arrive for a few weeks of sightseeing and I couldn’t be more excited; it’s nearly 8 months since I’ve been away now and that feels like a very long time. Once they leave, I’m doing something brave(? )…I’m following my heart and I’m flying to New Zealand. These are the joys of travelling – you never know who you will meet, where you will end up or what’s next – I used to be scared of this but now I couldn’t love it anymore. This is the true reality of a life on a working holiday visa – there’s the ups, the downs, the amazing trips, the daily grind of having to get yourself up and go to work, the friendships, the romance, the life changing experiences…the sense of thinking, ‘yeah, I’m happy with this’. I’m not saying running away solves everything, it doesn’t but by running away, I’ve found something truly meaningful, I’ve seen things some people will never get the opportunity to see during their whole lifetime and I’ve learned to appreciate things a hell of a lot more. Work and travel can be hard – It’s not all days on the beach, incredible photo ops everyday – but it’s what you make of it. I am glad I had my initial slump in the early stages of living in Australia because it’s taught me that when something good happens, to grab onto it with both hands. PS. I realise you’re all waiting for my East Coast posts, I promised you them a while ago…they will come. But right now, I feel UC is my place to clear my head and to voice how important it is for people to travel. I see so many people who miss out or lack interest in these chances – I know it’s not for everybody – but the world is an incredibly big and beautiful place, go and see some of it! I'm sure I'm one of those that is jealous of your travels. I have never experienced all the travel so I have no idea what it's like, but I have sure desired it. I wanted it after my divorce and after the death of my dad. Facing reality is tough sometimes. Change is hard and you explain that very well in this post. It is great that you have had an amazing time and you have also learned from the experience. Enjoy New Zealand! Some opportunities are too good to pass up. I hope you continue to grow through these travels and that things don't get overbearing or too hard for you.